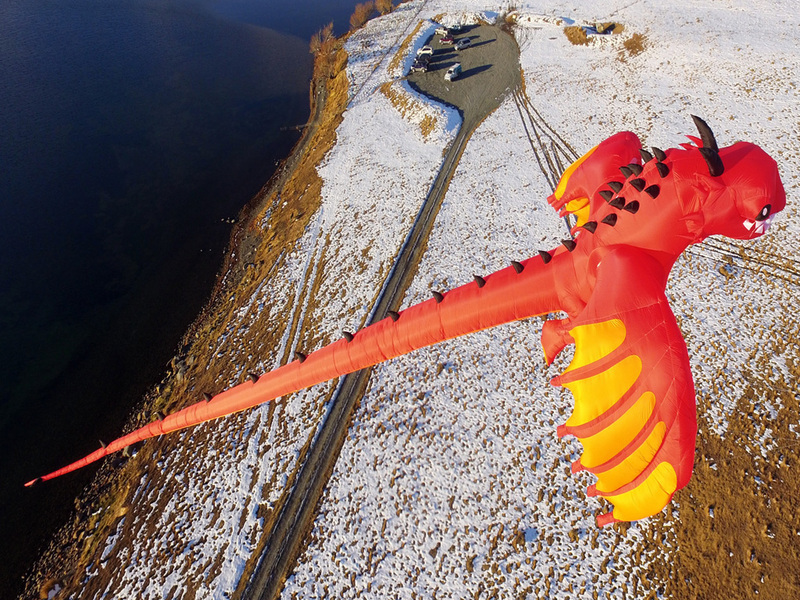 We are excited to say the PLK Dragon is finally available for purchase. This Dragon is a crowd favorite. 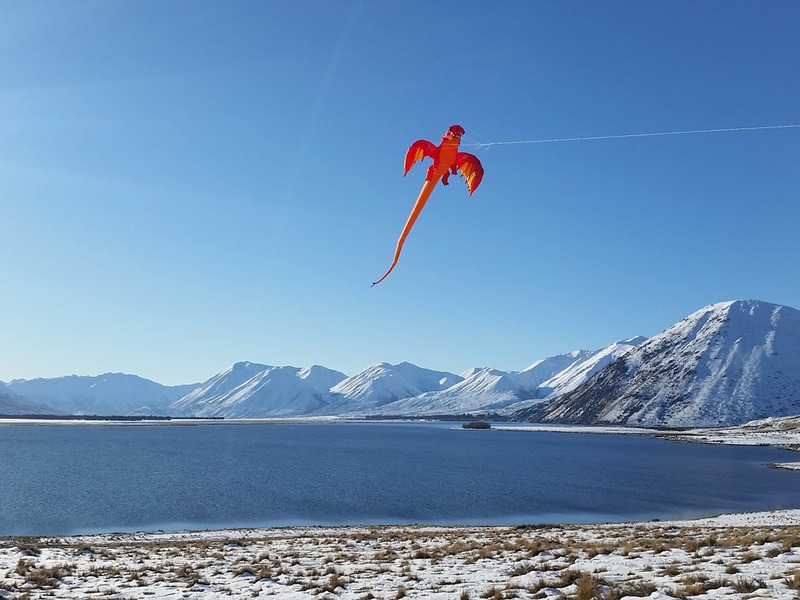 With it’s sharp claws and huge wing span you can’t help but give this kite all your attention. 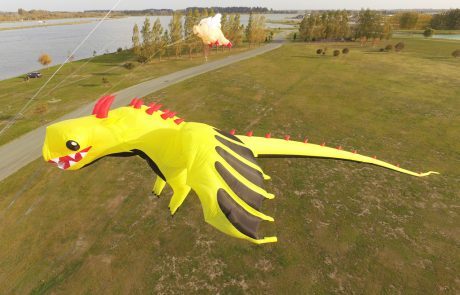 The Maxi PLK Dragon is made to order in your choice of colours. 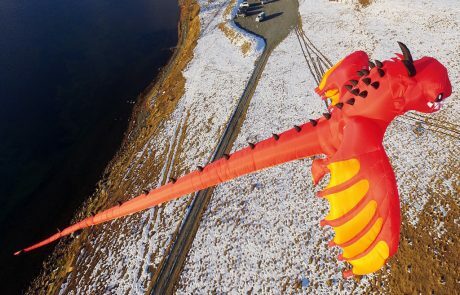 It is available for $ 2400 USD.This 9 kg Dragon is 24.5 meters long and has a massive 9 meters wide wingspan. 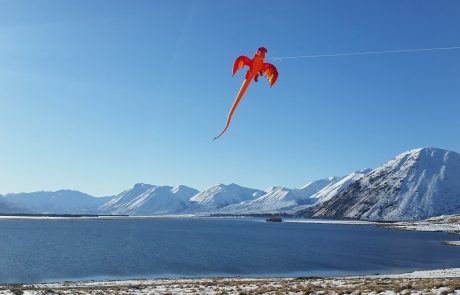 Don’t let the word midi Dragon confuse you on the size of this kite. 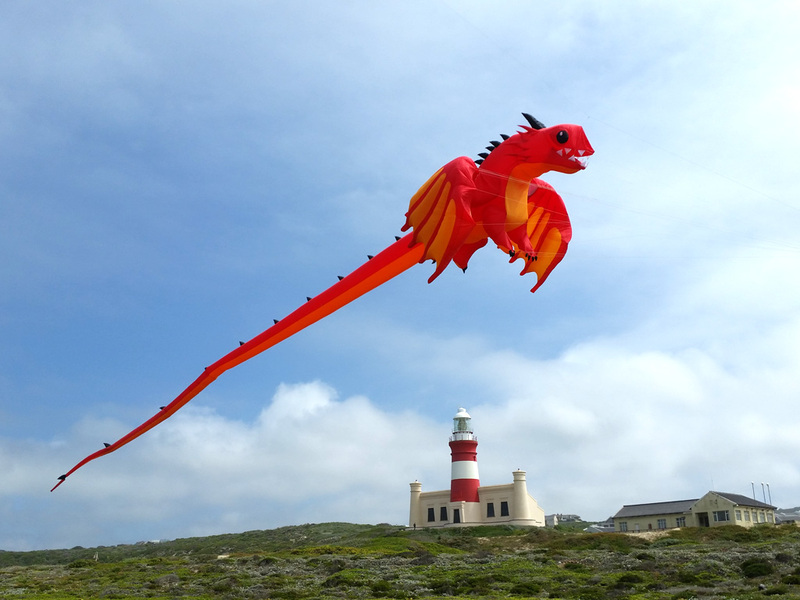 It is still a large kite. 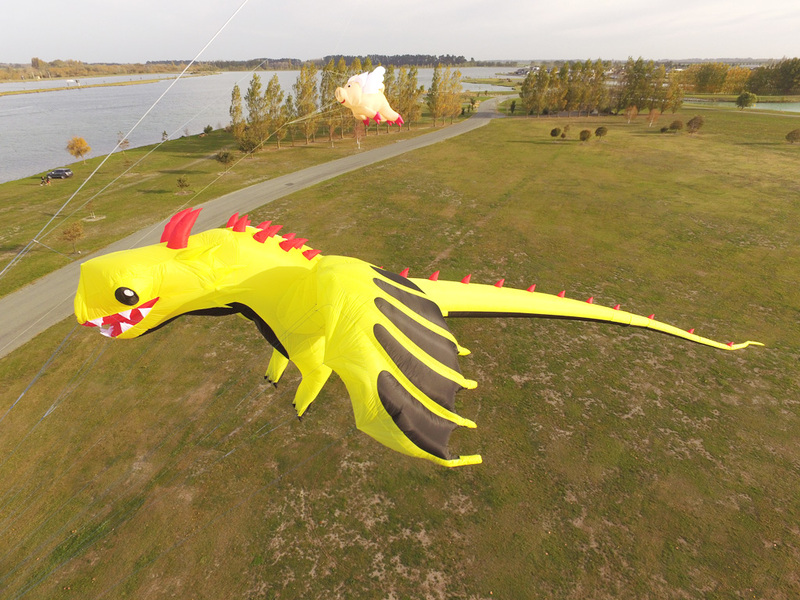 The midi PLK Dragon is 14.6 meters long and has a wingspan of 5.5 meters. 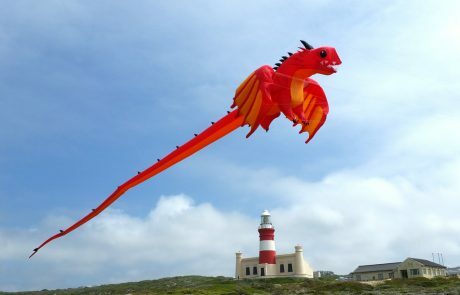 It is available to order in your choice of a selection of colours ( this kite is made in bulk to save on costs to the consumer. 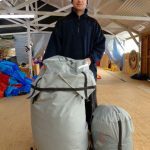 There could be a delay if choosing your own colours). 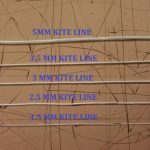 We know how it is important for kite flyers to get their kites in the air as fast as possible as we are kite flyers too. 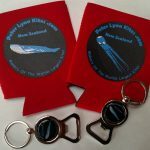 So we will try our best to keep some in stock. * Main colour purple, second color red, spikes black. 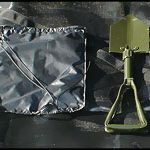 * Main colour red, second colour black, spikes grey.